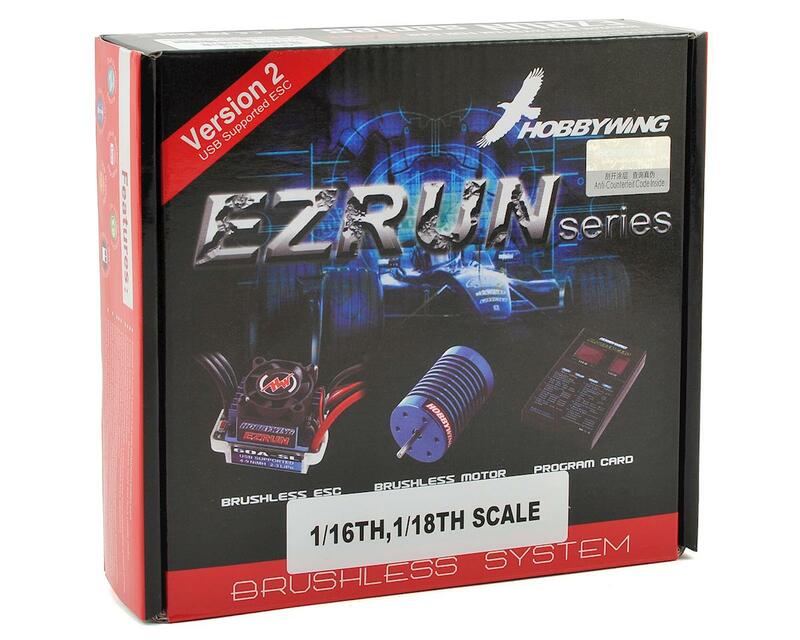 This is the Hobbywing EZRun 18A Sensorless Brushless ESC and Motor Combo, with an included Program Box. 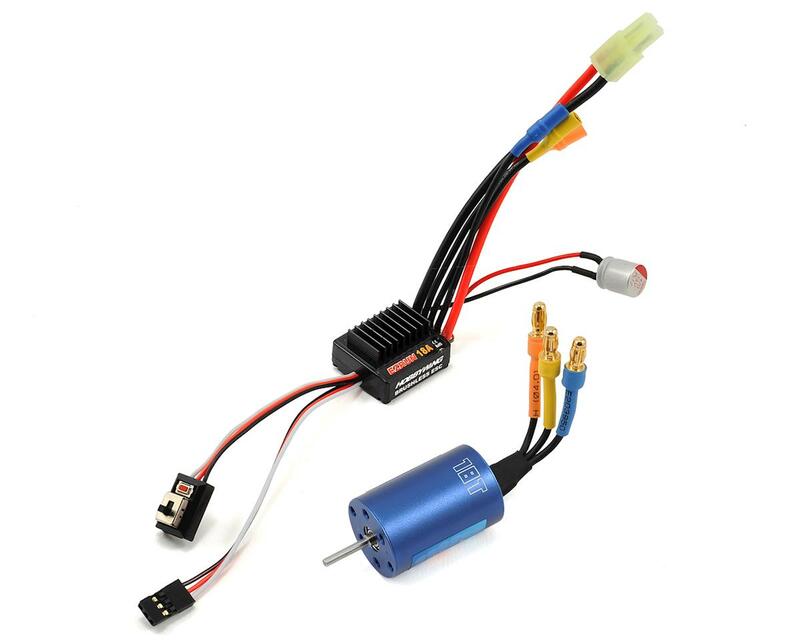 This combo combines an 18 Amp Brushless/Sensorless ESC with a 18.0 Turn, 5200kV Brushless/Sensorless Motor for an electronic package suitable for 1/18 and 1/16 scale on-road and off-road sport fun. 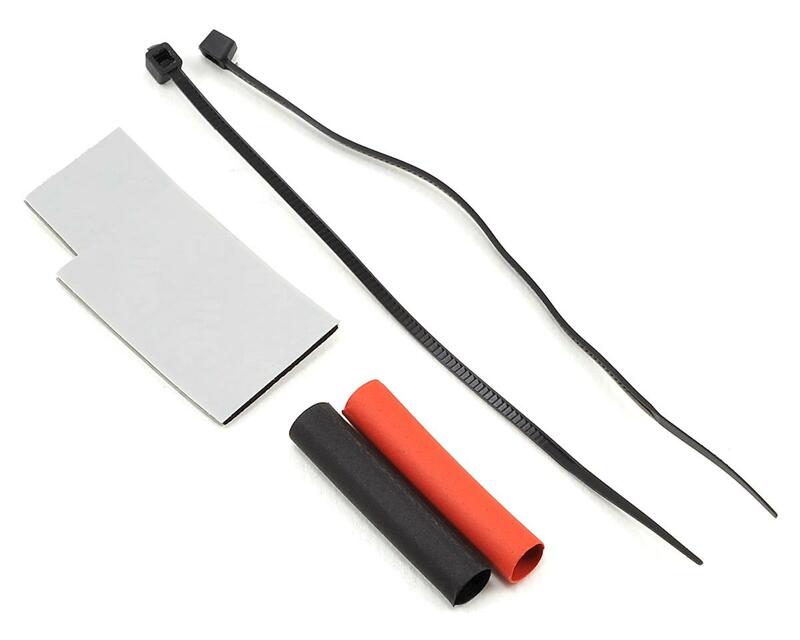 Note: The battery lead coming off the ESC uses a Mini Tamiya male plug. 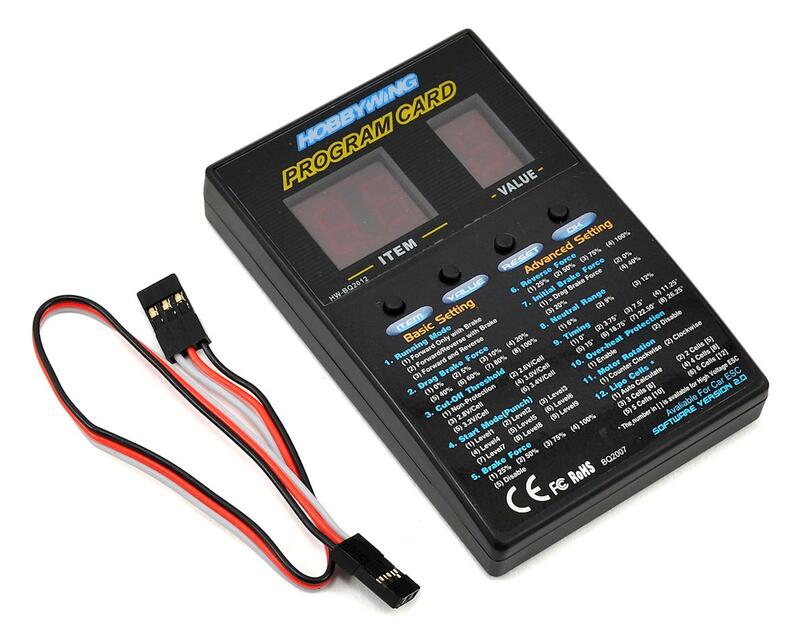 You will either need a battery with a Mini Tamiya female plug, or solder on new connectors.